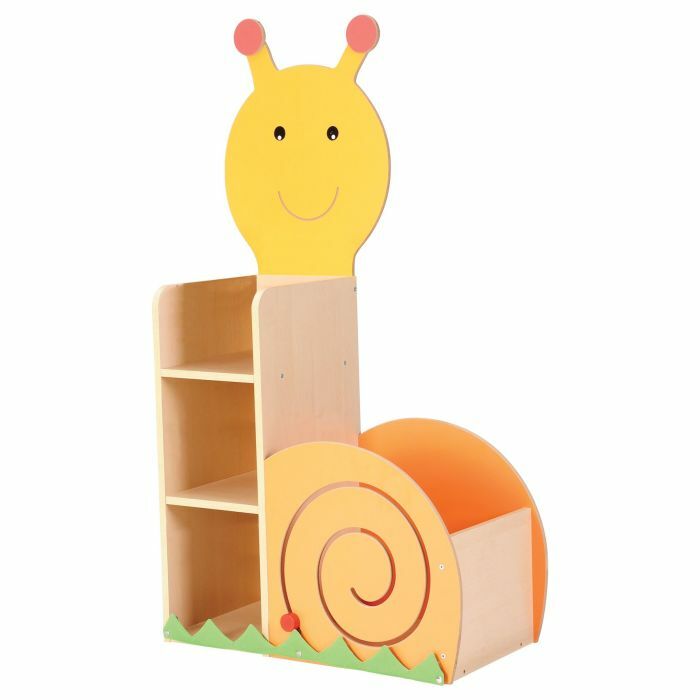 Popular in Reading Corners and Libraries our snail themed combination shelving and cabinet unit. 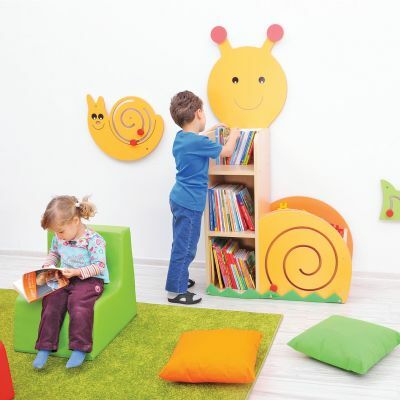 Complete with a snail design feature the cabinet is an attractive, practical addition to pre-school and primary learning space. Storage for books and toys helps to keep surfaces free from clutter. Also includes a maze for younger years to practice and develop motor skills. Made from MDF and particle board it is sturdy and can be easily wiped clean. 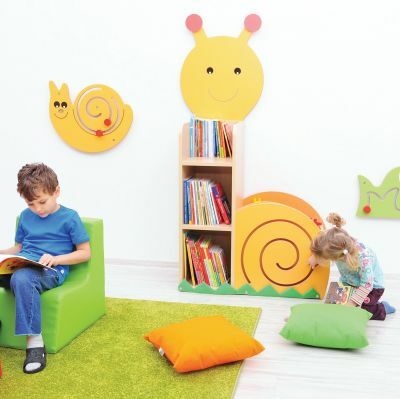 Suitable for children aged 3-10 years.